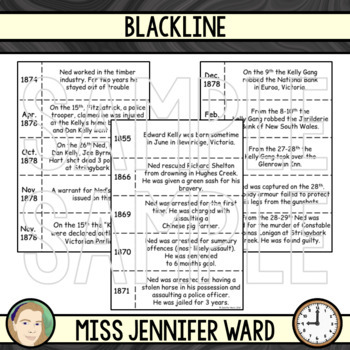 This is a timeline activity that can be used for practising personal timelines or looking at people in history. 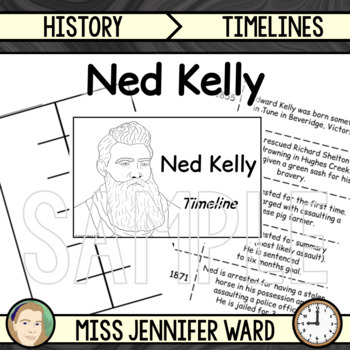 Ned Kelly is the focus of this timeline. 16 key events of his life are included. 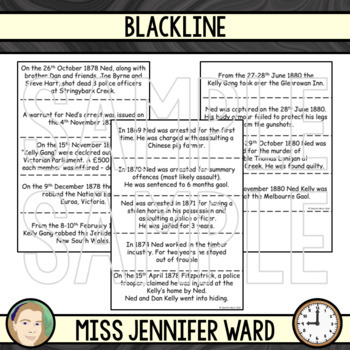 The timeline is presented in two different ways to allow for differentiation. I find this activity is best done in small groups or pairs and then meet up at the end to discuss as a class. Set 2 is particularly fun if you cut the dates separate to the event and have the students try to work out in pairs what order and year everything happened. This activity allows students to look for clues (inferences) in the text to make decisions. A lot of discussion and learning occurs with set 2! 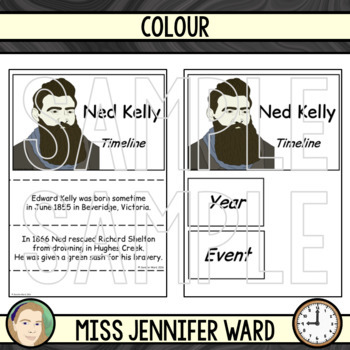 An additional sheet is included for students to create a mini-timeline on Ned Kelly's life by choosing 5 events that interest them to create it. Please note: I use the birth month of June 1855 for Ned as this is the earlier attribution from his father's death certificate (and most often the earlier the reference the more accurate it is in historical documents). Other sources state November-December which came from siblings/descendants of the Kelly family many, many years later.